In my first blog post, What we mean when we talk about accessibility, I said that it is common for people to have a narrow understanding of accessibility. It is not just about ensuring that someone blind can use your service. You need to consider the access needs of other people before you can confidently say that your service is accessible. 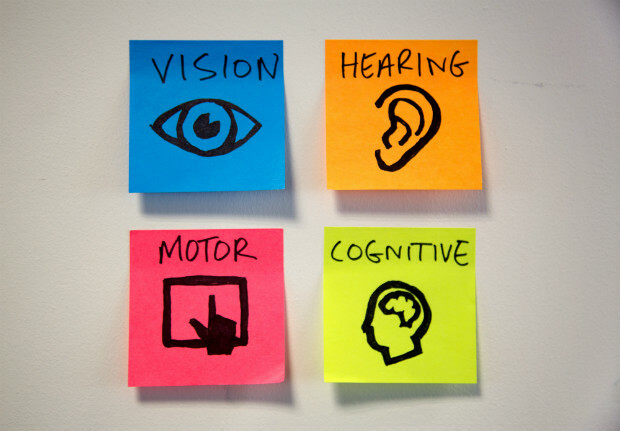 People have different sensory, cognitive and physical abilities. All too often things are built for the fictional average person. Someone who has perfect vision and hearing, who uses a mouse or touch screen and has good basic literacy. Very few people are like this, especially when you take into account that a person’s ability changes in different situations. For example, when using a mobile phone in bright daylight, the screen can become harder to see because of the reduced level of contrast. In a busy room, it can be difficult to hear because of the increased background noise. When some people are tired or stressed, information can be harder to understand. You must aim to meet the needs of everyone and ensure that someone who has a disability is not excluded. Can these people use your website unsupported? Can they use your call centre, or your face to face support sites? Can they use your paper forms? Not everyone will be able to use your service unsupported. 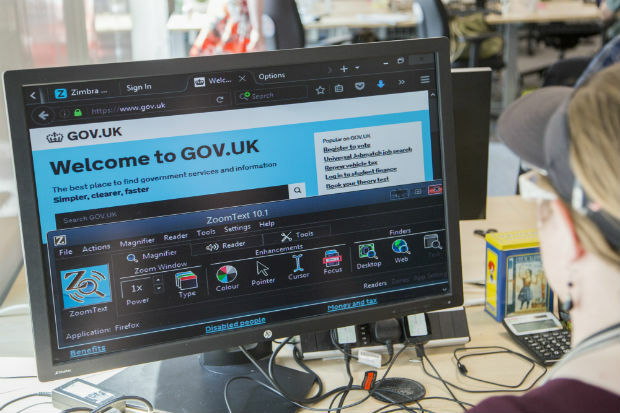 Some people who lack the digital skills, trust, confidence, kit and/or connectivity to use online services independently. These people need someone to help them, so they can also benefit from new digital services. We call this help assisted digital support. This is covered by the service standard. Many services are already delivering excellent assisted digital support. Until you consider the needs of the range of people that will be using your service you can’t confirm that you are not excluding people. You also won’t be making the cost savings that digital services can provide as you will be forcing some people to use more expensive alternate channels. Follow Alistair on Twitter and don't forget to sign up for email alerts.